Home &sol; Corporate & Secretarial Complainces. We provide detailed analysis to clients interested in dealing with any Corporate in any capacity. Risk / Reward analysis on case to case basis along with Ratio Analysis and valuation of Companies in case of Acquisition and Mergers. 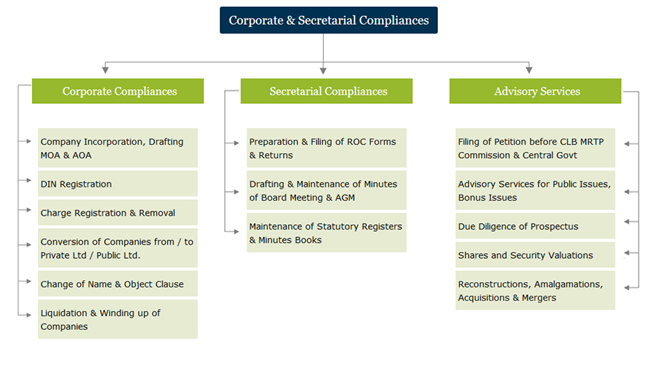 Advising on various matters under the Companies Act, 1956 including appearance before the Company Law Board. Assisting in Winding-up of companies/striking off the name from the Registrar of Companies under the Act.